Paradise Seeds Original Cheese female produce a cannabis plant with photoperiod genetics and a flowering time of 8 weeks. Original Cheese has an effect described by the breeder as ‘Strong, physical + head high’ and a taste that is ‘Cheese, skunk’. Buy Paradise Seeds Original Cheese female at the lowest price online now! England’s Finest… The Original Cheese needs no introduction. It is a classic variety, a homegrown English strain that has brought a new meaning to the word pungent. Originally developed in the UK in the 1980s, Cheese had a brief ride around the Amsterdam coffeeshop scene before the Super Skunk invasion. It went away but returned in the 1990s, widely believed to have been developed by Exodus a legendary UK collective famed for their underground parties. You’ll notice that we name ours, Original Cheese (IBL), because that’s what it is. In 2003, through good fortune and the generosity of a red eyed acquaintance in London, we negotiated ourselves an original female Cheese clone. We intended to cross it with other varieties, but at the end of the day this is one classic that deserves to be preserved in its purest form. The line is strong with this one. From the original clone we have bred a plant that retained all its best qualities, with the added benefits of boosted stability, more potency and yield potential. As the grower would expect, this is a plant that consistently performs delivering a product that is unmistakable in smell and taste. Part of the popularity of the cheese strain is its adaptability, providing consistency when growing indoor or outdoor. 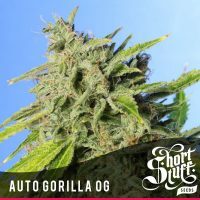 Expect this plant to yield big, with chunky buds that reach parts other skunks can’t. As for the effect, once you have learnt to love that pungent aroma, you will be back for more. The Original Cheese is full power. It will reach out and grab you, ready or not, so make sure your tasks are done, that phone call to grandma has been dealt with and the cat has been fed! Yield: 450 g per m² indoors. 600 g per plant outdoors.